Three strangers from Enköping, Sweden, will take the Roadburn stage next April. 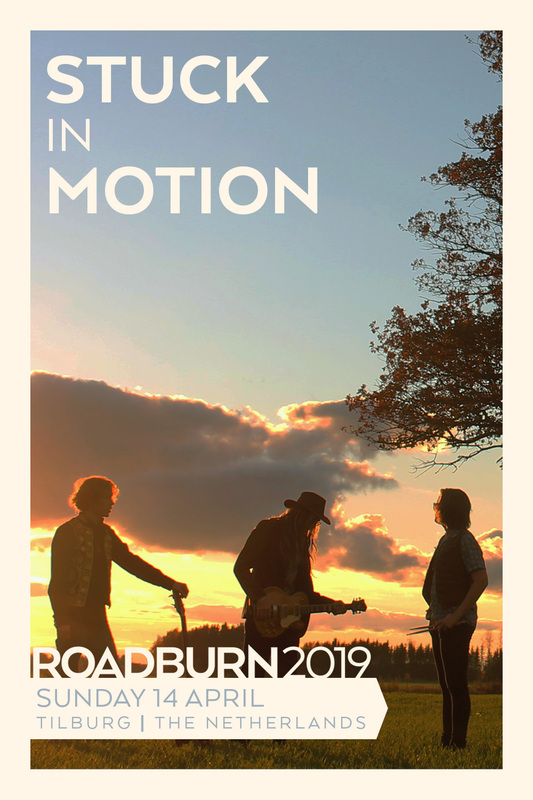 Maybe you heard Stuck in Motion‘s self-titled debut when it was released this past summer, and maybe you didn’t, but if their playing Roadburn is your introduction, then we’re all the more thrilled to bring them to you in Tilburg. Like any movement over time, there are those who simply go through the hallmarks of a style without adding anything to it. Stuck in Motion do precisely the opposite. They present a ’70s-loyalist heavy rock that brims with instrumental chemistry and soul alike, and has a laid back vibe all the while that’s too inviting to refuse. They probably didn’t set out to do so, but they’ve wound up proving that there’s vibrancy in classic forms, and the energy they bring to bear while remaining so poised in the delivery and warm in tone makes their sound immediately their own. So maybe the album’s flown under your radar. Well, there’s still plenty of time to get up to speed before April comes around, so hit up their Bandcamp or do whatever you have to do to get filled in and grab a vinyl before they’re gone, because it’s hard to imagine the pressing will last before Enköping‘s best kept secret make their way to Roadburn.